Because I refuse to allow myself to pay too much attention to the Toronto Film Festival's slate out of spite and bitterness I usually end up missing a lot of news with regards to just what is premiering there and might in turn be Coming Soon To A Theater Near Me - alas, my rage knows no bounds. 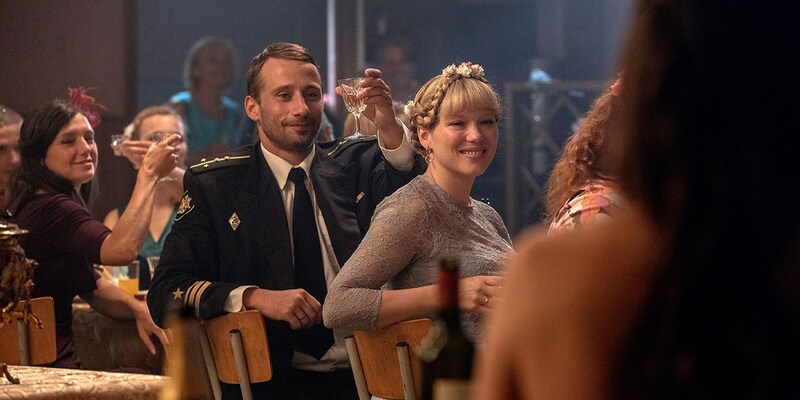 Point being I missed the news that Kursk, Thomas Vinterberg's submarine drama starring Matthias Schoenaerts and Colin Firth and Léa Seydoux (not to mention frequent nudist Matthias Schweighöfer), is premiering there, and we've got two pictures from the film to boot! No word on a proper release date yet but I'll try to keep my eyes on that, although if my bitterness gets in the way again there's no telling. 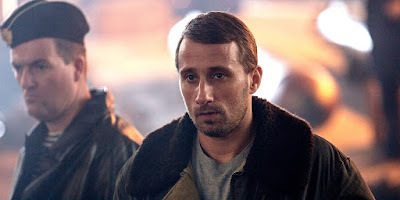 I'll do it for you, Matthias Schoenaerts in uniform! i think your confusing your seydouxs with exarchopouloses thanks to blue is the warmest colour no doubt.